Allows you to drive four interior antennas with a single amplifier/repeater. Supports 700Mhz to 2700MHz. 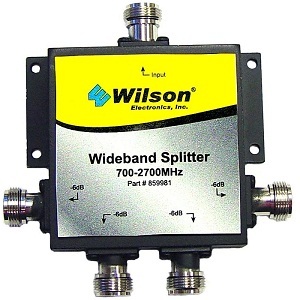 This 4-way splitter allows you to drive four interior antennas from a single amplifier/repeater. 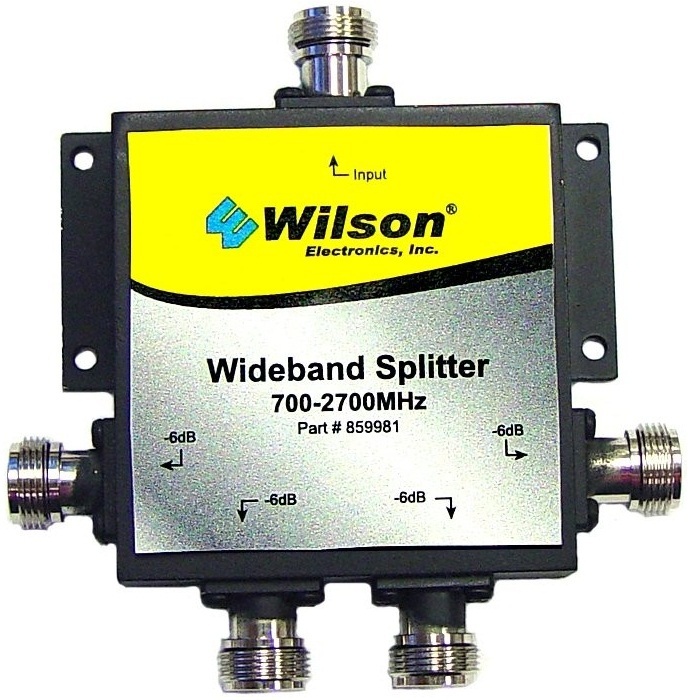 Because you are splitting the signal each antenna will receive approximately 1/4 of the signal which equates to about 48% of the coverage distance when compared to driving a single antenna. In most cases you will need to use a minimum of a 60dB amplifier in order to adequately power a four way split.